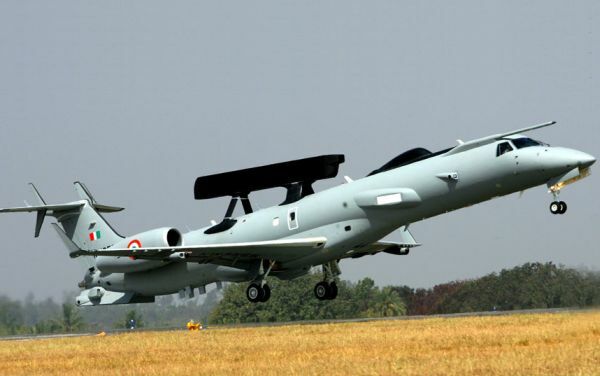 The deal was signed between Embraer and the DRDO for three aircraft equipped with indigenous radars for airborne early warning and control systems. The $208-million (Rs 1,390 crore) jet deal with Brazilian aircraft maker Embraer during the United Progressive Alliance regime has kicked up dust with United States authorities going into alleged payment of kickbacks while India has sought information from the company within 15 days. After the Defence Research and Development Organisation receives information, further steps may be initiated, the Defence Ministry said today after reports emerged that the 2008-deal has come under the scanner of the US Justice Department, which has been probing Embraer for alleged payment of bribes to secure contracts. “The DRDO has sought information from manufacture of Embraer aircraft within 15 days on media reports on aircraft deal signed in 2008,” Defence ministry sources said. “On receipt of information by the DRDO, further steps may be initiated,” they said. The deal was signed in 2008 between Embraer and the DRDO for three aircraft equipped with indigenous radars for airborne early warning and control systems. The Bharatiya Janata Party attacked the Congress on the issue. Union Minister Ravi Shankar Prasad said they thought that the stories of Congress corruption would be less heard since change of power in 2014. However, every deal is giving signal of taint. “The past of UPA always keeps on appearing with alarming regularity,” he said at a press conference at the BJP office. The company has been under investigation by the US Justice Department since 2010 when a contract with the Dominican Republic raised the Americans’ suspicions. Since then, the investigation has widened to examine business dealings with eight more countries. “Investigations that have been opened by the government of the United States to establish whether Embraer paid bribes in order to obtain contracts abroad have affected deals that the Brazilian company closed with Saudi Arabia and India,” Brazilian newspaper Folha De São Paulo reported. It is suspected that a leading Indian middleman based in the United Kingdom was roped in for the deal. DRDO chief S Christopher, who headed the AEW&S programme earlier, did not pick up calls or respond to messages. Embraer is cooperating with the investigations and announced in July that it was expecting to reach a deal soon with American authorities, the paper said. The company has put $200 million (Rs 1,340 crore) aside to pay any eventual fines that come about as a result of the process. The company has not released details regarding the state of the investigations, but three people who have been following the case have confirmed to Folha that the deals concluded in Saudi Arabia and India are being examined, the paper reported. In both cases, suspicions were underlined in May this year when an employee with more than 30 years at the company reached a plea-bargain agreement in investigations being conducted by the Federal Public Prosecutor’s Office in Brazil. Albert Phillip Close, Manager of Embraer’s defence area, told Prosecutor Marcello Miller that he had heard a former sales director who worked in Europe admit to American investigators the payment of commissions to facilitate the sale of aircraft to the Saudis. In November of 2010, the company announced the delivery of two Embraer 170 executive jets to the Saudi Arabian state-owned oil company Aramco. The amount of the deal was not announced at the time. The Rafale fighter jet deal is nosediving!